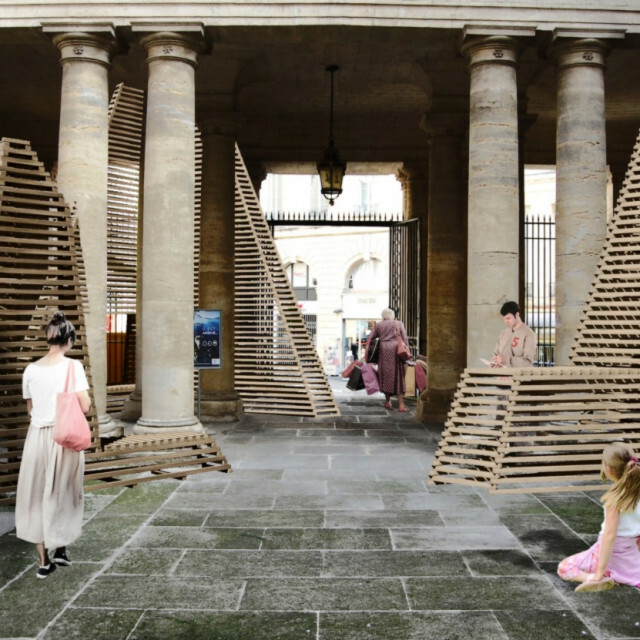 The Festival des Architectures Vives is an architectural path for the general public, who can discover or rediscover the historical landmarks of the city of Montpellier. The event invites visitors to go in contact this rich heritage by offering installations scattered around the city. In Montpellier, it takes place in the historic town and offers a path connecting mansions and courtyards, mostly private, that are usually not visible to visitors. Each installation created by architects teams allows to highlight the work of a younger generation which is inventing, experimenting and exploring new design of our environment fields.